What Meridian Care can do for you? employers have become more aware of health related issues in the workplace, they need to be more proactive about them. 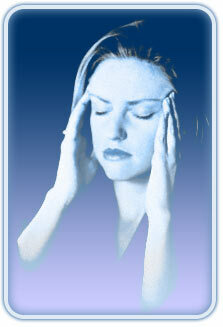 Stress is really prevalent in the workplace and has taken over from repetitive strain injuries. Across Europe, stress is estimated to cost employers in the region of €60Billion each year. Increase and enhance productivity and output within your company through a reduction of stress, which causes a large percentage of all health problems. Attract and retain staff in a highly competitive market. Improve employee health and morale. 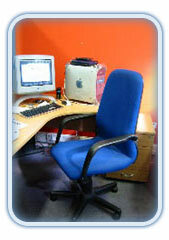 Providing a range of onsite therapies which can be conveniently carried out in the workplace. Meridian Care staff will come to your office to provide a range of therapies including Indian Head Massage, Chinese Massage, Aromatherapy for the hand, neck, shoulder and Sports Massage. Our therapists aim to alleviate many of the common problems associated with work such as Repetitive Strain injuries, Muscular problems, Stress, Energy levels and general improvement of the Immune System . These office therapies can be block booked on a half or full day basis or to hours which suit you and your staff.All therapies can be done at the workstation so as to avoid disruption elsewhere in the office or work environment. If you are interested in something after work, we are now able to offer the much sought after Pamper Nights. In the peace of your home, in your own environment, the focus is on your beauty, your rejuvenation and a night with the girls. From the moment our trained experts enter your home to the moment they leave, the ultimate in comfort, luxury and personal care is at your fingertips.